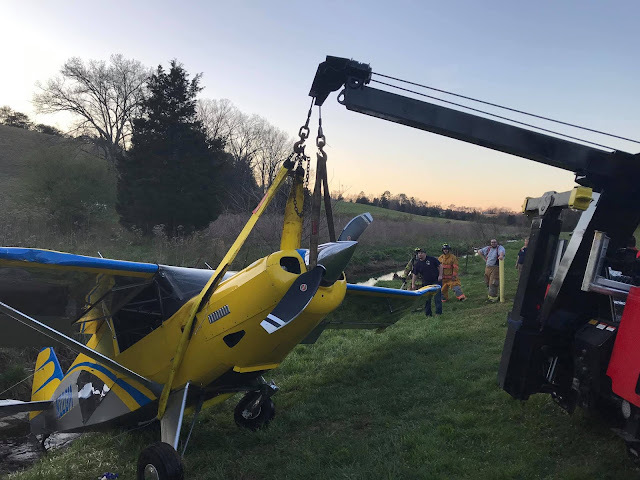 On March 27, 2019, about 1630 eastern daylight time, an experimental amateur-built Bearhawk airplane , N22GM, was substantially damaged during a forced landing after a total loss of engine power in Sevierville, Tennessee. The airline transport pilot was not injured. Visual meteorological conditions prevailed, and no flight plan was filed for the local personal flight, which was conducted under the provisions of Title 14 Code of Federal Regulations Part 91. The flight departed Kite Field Airport (97TN), Jonesborough, Tennessee, about 1545. According to the pilot, about 45 minutes after takeoff while in a left turn at an altitude of about 2,000 ft mean sea level, the engine lost all power. He attempted to restart the engine but was unsuccessful. During the attempt, he noticed that the fuel pressure was about 25 to 30 psi, which was 5-10 psi lower than normal. He activated the electronically controlled fuel injection system "emergency power" switch (which provides a predetermined amount of fuel to the engine to allow it to "limp home"), which did not restore power. The propeller continued to windmill as he prepared the airplane for a forced landing. 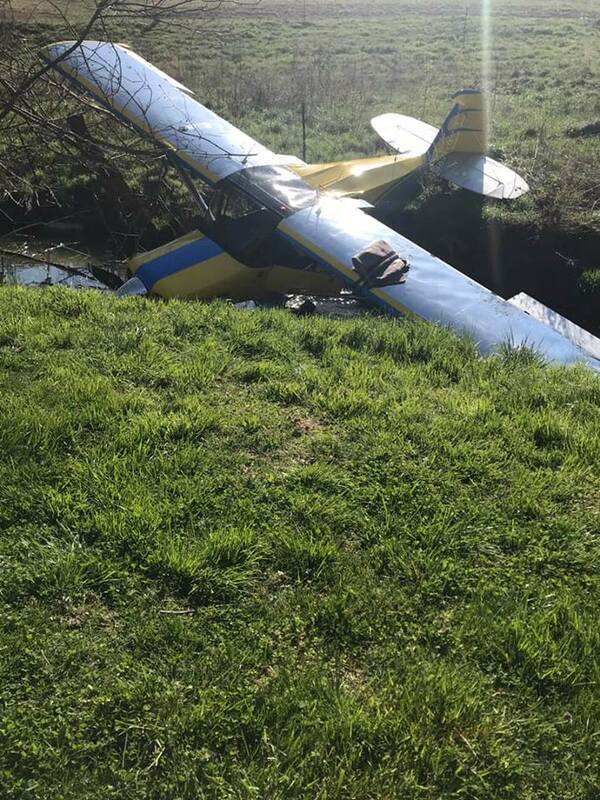 The pilot landed in a nearby field but was unable to stop the airplane before a steep downslope, and the airplane came to rest upright in a creek at the edge of the field. The pilot reported that he departed 97TN with about 40 gallons of fuel. He estimated at the time the engine lost power, the airplane had about 20 gallons in the left tank and 10 gallons in the right tank. He said that both of the wing fuel shutoff valves (one for each wing tank) were in the "open" position when the engine lost power. The pilot further reported that the wing fuel tanks feed a header tank in the fuselage, which feeds fuel to the engine. Examination of the wreckage by a Federal Aviation Administration inspector revealed that the left wing was crushed aft, outboard of the wing strut, and fuselage frame tubes were damaged in several locations. First responders observed fuel leaking from the left wing upon their arrival. The airplane was equipped with two electronic flight instrument displays, which can optionally record engine and flight data parameters. These units were removed and sent to the NTSB Vehicle Recorders Laboratory for examination. SEVIER COUNTY, Tennessee (WATE) - Sevier County officials as well as the National Transportation Safety Board (NTSB) and Federal Aviation Administration (FAA) are investigating a small aircraft crash that occurred in Sevier County Wednesday afternoon. 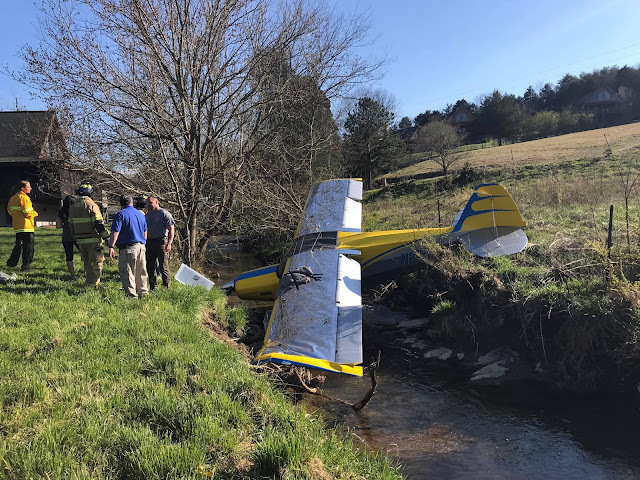 A Bearhawk aircraft skidded into a creek after crashing in a field in Sevier County in Tennessee about 4:50 p.m. today. Check with local authorities for information about the condition of the pilot, the only person on board the aircraft. The FAA will investigate. A small aircraft that crashed in the Pittman Center community originated from Jonesborough, according to Sevier County officials. Officials also saying the plane was a "homemade, experimental aircraft." Bearhawk Aircraft, developed by Robert Barrows, is a company that offers kits and plans for users to build their own amateur aircraft. 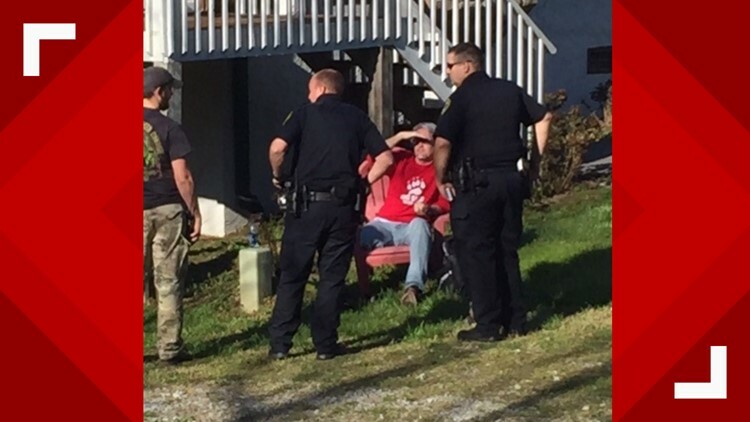 The FAA did not specify which kind of Bearhawk aircraft that crashed in Sevier County. The aircraft crashed in a field off Leatherwood Lane in Sevier County. The pilot, who was the only passenger in the aircraft, told investigators the aircraft had lost power. 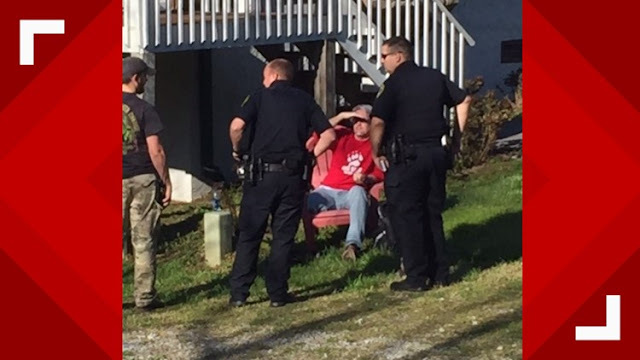 Sevier County dispatch officials had earlier confirmed a report of a plane crash on Leatherwood Lane and Jayell Road in Pittman Center community just after 5 p.m.
Dispatch saying the call came in at 4:41 p.m. The crash occurred just after 4 p.m. The pilot was not injured in the crash. The Sevier County Fire Department later posting to its Facebook page thanking all the first responders and units that responded to the scene. 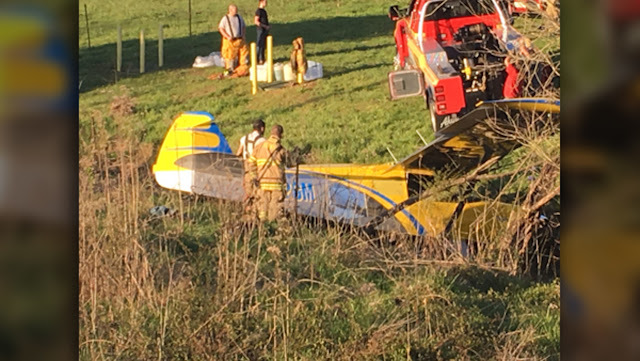 SEVIER COUNTY, Tennessee — An experimental aircraft crashed in a Sevier County field Wednesday afternoon. 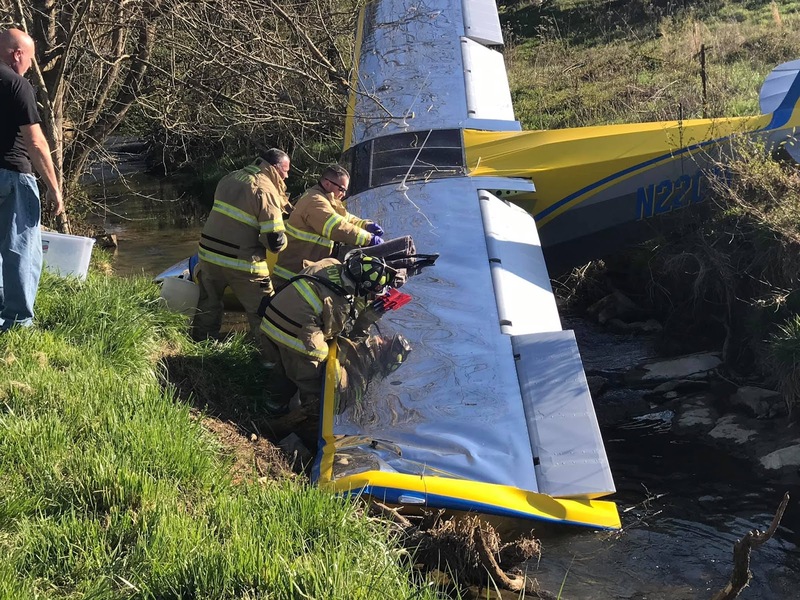 The pilot, the only person aboard the aircraft, was uninjured, according to witnesses and Sevier County spokesman Perrin Anderson. 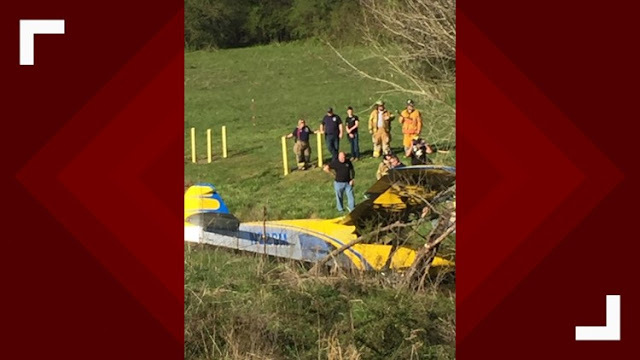 The plane went down around 4 p.m. in a field off Leatherwood Lane. 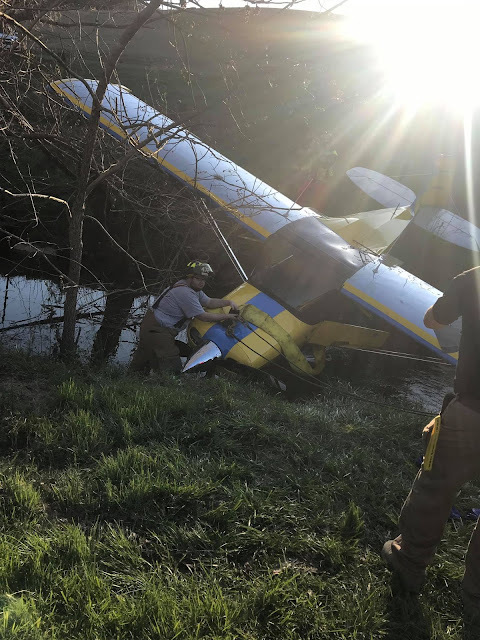 According to Anderson, the pilot said his plane lost power. The flight originated in Jonesborough, Tennessee. The NTSB and FAA are investigating, according to Anderson. Numerous Sevier County emergency vehicles responded. 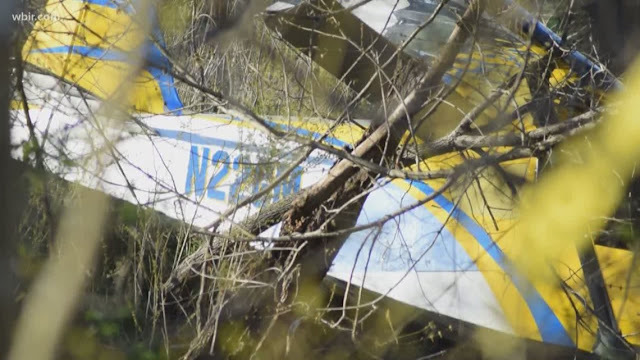 A witness told 10News he could see the single-engine plane with the pilot sitting nearby. 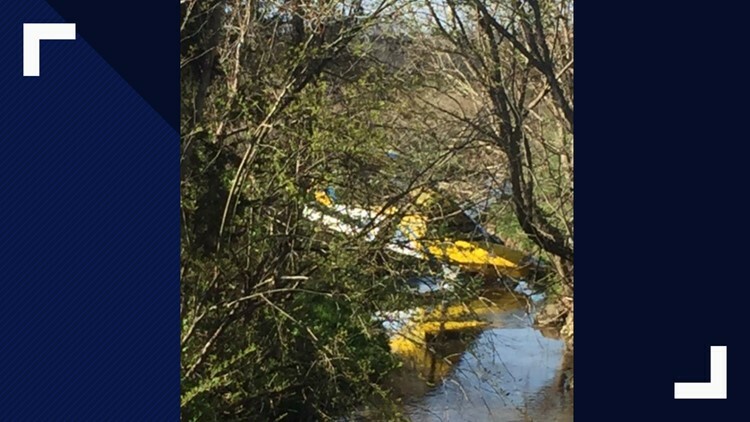 He said it looked the pilot may have landed on a downward slope and rolled into a creek.